Abracon is a leading global manufacturer of passive and electromechanical timing, synchronization, power, connectivity and RF solutions. With a broad portfolio of quartz crystals, crystal and MEMS oscillators, real time clocks, power inductors, IoT antennas and more, Abracon helps engineers transform their ideas into products that meet the opportunities of tomorrow. The company is ISO9001-2015 certified. 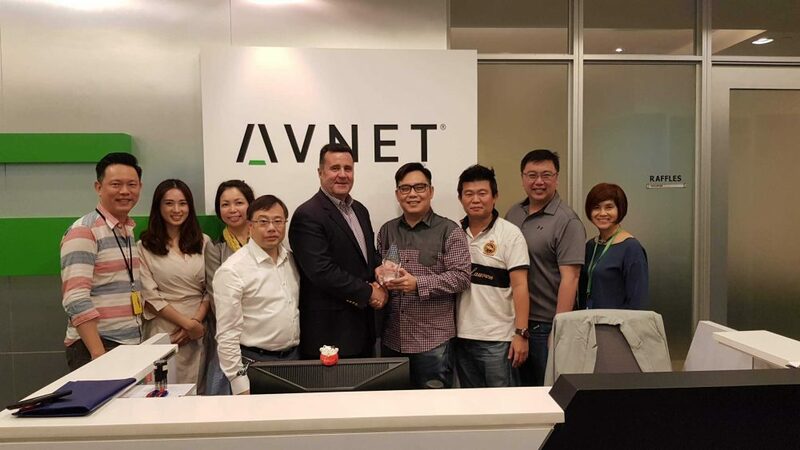 AUSTIN, TX – Abracon, LLC (Abracon), The Heartbeat of the IoT®, a leading global manufacturer of frequency control, timing, synchronization, RF, connectivity and power components recognizes Avnet Vietnam with the 2017 Outstanding Distributor Sales Team award. Abracon presents this award to the distributor sales team that most closely aligns with Abracon’s guiding principles of prompt and diligent customer service, technical expertise, and high levels of integrity that build value with customers. Coupled with effective channel management practices, these qualities help customers get to market quickly and meet their design cycle objectives. Congratulations to the Avnet Vietnam team for their achievement. Founded in 1992, and headquartered in Spicewood, Texas, Abracon is a leading global manufacturer of passive and electromechanical timing, synchronization, power, connectivity and RF solutions. Abracon offers a wide selection of quartz timing crystals and oscillators, MEMS oscillators, real time clocks (RTC), Bluetooth modules, ceramic resonators, SAW filters and resonators, power and RF inductors, transformers, circuit protection components and RF antennas and wireless charging coils. The company is ISO9001-2015 certified with design & application engineering resources in Texas and sales offices in Texas, California, China, Taiwan, Singapore, Scotland, Israel, Hungary, UK, and Germany. Abracon’s products are offered through its global distribution network.